Art of Eli Hanselman: Car Painting! 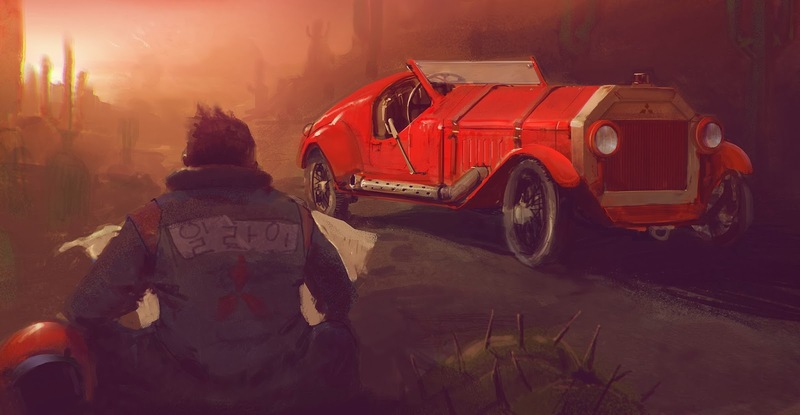 I love cars, but for some reason drawing them has always been super hard, I dont hate this attempt though, would like to do a series of car paintings sometime! Like I said the other day, nice nice very nice nice. I'm headed out of town, but we'll lunch when I get back yes? Thanks Tom!!! Have fun at the massive black workshop, wish I could go. Yeah Let's grab lunch, Next Tuesday or Thursday! Hey dude I see your name "일라이"